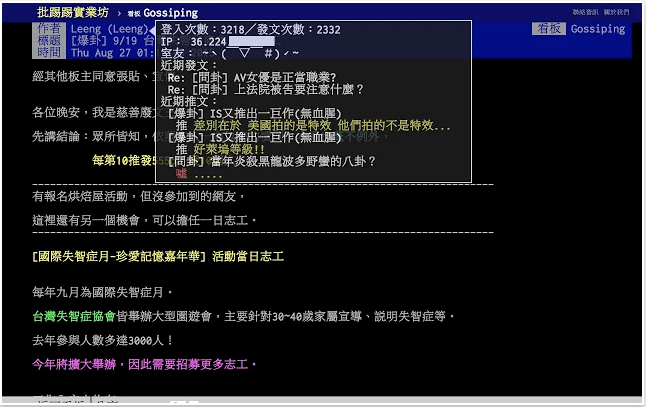 Posted in Chrome,Firefox,IE,Opera 瀏覽器, 網路工具、遠端遙控、連線監控Tagged PTT, 不自殺聲明, 人肉搜索, 網軍五毛, 鄉民查水表, 開門! 查水表! !